So how's that Republican war on pork holding up? All week, conservatives like Jim DeMint and Tom Coburn have been pushing their fellow senators to put a two-year moratorium on earmarks. They've managed to persuade Senate Majority Leader Mitch McConnell, and even Mississippi's prime porker, Thad Cochran, has just grudgingly acceded ("I remain unconvinced that fiscal prudence is effectively advanced by ceding to the Obama administration our constitutional authority to determine federal expenditures, but an earmark moratorium is the will of the Republican Conference."). And yet… the odds that this ban ever amounts to much are pretty slim. For one, there are still a few defiant holdouts. James Inhofe has said he'll continue to request earmarks for Oklahoma, ban or no ban. Inhofe isn't the Senate's biggest earmarker—last year, his $73 million worth of pet projects ranked him a measly 70th among senators, according to OpenSecrets. Mostly he just seems to have principled reasons for defending pork. After all, he told colleagues, eliminating earmarks won't actually save taxpayers money; it just means that the executive branch has more discretion over how to spend the funds in appropriations bills. As he put it in a letter to his colleagues, eliminating earmarks just means "ceding Congress's authority to President Obama." Then there's Alaska. 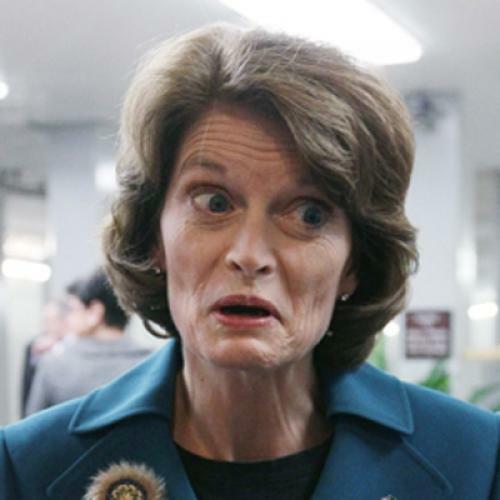 Assuming she wins her Senate race, Lisa Murkowski has said she has no intention of honoring any moratorium. And who can blame her, really? More than any other state, Alaska's economy depends on pork. Back when Ted Stevens chaired the Senate appropriations committee, his earmark skills single-handedly boosted Alaska's federal largesse by about $900 million per year, according to one economic study. That's 2 percent of the state's GDP. And many of Alaska's infrastructure projects—costly roads and airports connecting tiny, isolated villages—wouldn't survive the usual cost-benefit scrutiny. Some context: Graham is in severe danger of a primary challenge from the right in 2014, so he obviously needs to get on the Tea Party's good side and badmouth pork. On the other hand, he's been under pressure to earmark funds for local projects like the Charleston Harbor, which could fold without congressional support. So what does he do? Split the difference. It's not that he wants to earmark, it's just that the Obama administration's callous disregard for the good folks of South Carolina might force him to do so. Of course, this is the logic behind every pork-barrel project—a member of Congress thinks he or she has a better idea of how to spend money than the executive branch does. 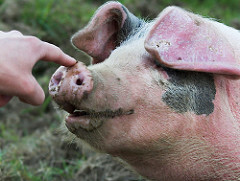 Any guesses as to how many pork-hating Republicans will find a way to invoke the Graham rule over the next two years?